Mapping the customer journey is not a new concept. 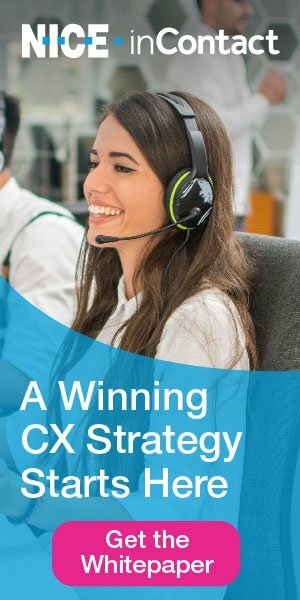 In fact, within the contact center world, it’s quickly become a critical part of delivering a solid omnichannel CX. After all, that journey has become increasingly complicated, spanning social media, phone, chat, self-service, email and more. Knowing where that journey has taken your customer is critical—but what about acting on that journey? There is a lot of power in being able to jump in and help shape that journey to be more direct, with less “turbulence.” The scenic route is fine when we’re not in a hurry or under pressure. But the average person reaching out to a contact center has a specific destination and timeline in mind—be it resolution to a tech support issue or simply the answer to an elusive question. By empowering agents with consistent, accurate and timely knowledge, you elevate their capabilities, enabling them to deliver a great CX. Yes, it’s visibility into the customer journey, but it’s more than that. It’s having a complete history of that customer’s past interactions and preferences, regardless of how they contacted your organization. It is also critical to be able to collect, organize, collaborate and manage knowledge throughout the organization and across channels in order to make the customer journey as effortless and efficient as possible. A fully integrated knowledge management platform needs to be part of the agent experience. Optimized customer engagement across all channels makes for happy, repeat, loyal customers. No matter how well-intentioned and organized agents are, there can be gaps in delivering on promises made to customers. Whether it’s remembering to call them back or checking with another department about a question they had, agents typically rely on scratchpads and sticky notes to remind themselves of the many to-dos that come up throughout their day. Your contact center platform should provide features that empower agents to easily fulfill customer obligations accurately and efficiently, providing the customer with a smooth, complete, satisfying experience. Being proactive in the service you provide is a big differentiator. Think how grateful you are, as a customer yourself, when you reach out to a business and they actually remember what you called about last time. Now imagine if that organization actually anticipated what you’d need help with next and offered it to you—in essence, making a low-effort interaction into a NO effort interaction. Take it a step further—you’re on the phone with an agent about a billing issue, and that agent sees an email you sent an hour earlier about something unrelated, pulls it up and addresses it with you while you’re on the call. Not only is the organization wowing that customer, it’s reducing call volumes and increasing agent productivity. Offering this level of proactive service is win-win for all involved. Upstream Works for Finesse, an omnichannel agent workspace with management simplicity, is designed for the fully integrated customer journey and fosters this smart, simple and connected customer experience. Organizations that have implemented the solution have enjoyed very valuable benefits—on both sides of the interaction. Agents are more productive and successful, customers are more satisfied and loyal, and the organization gains efficiencies and fast ROI.